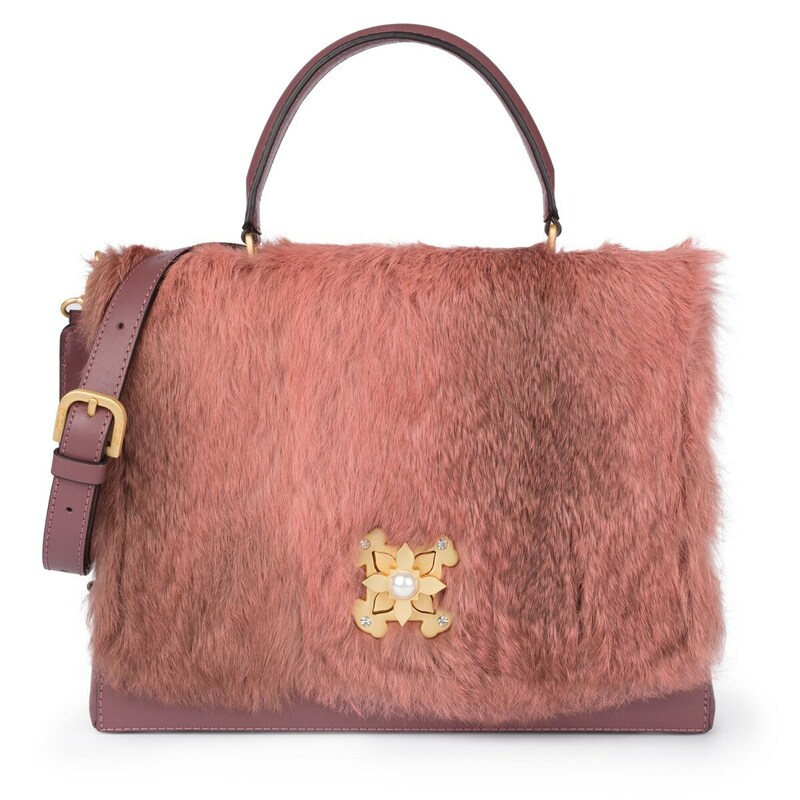 TOUS Rossie Warm city bag in pink leather combined with rabbit fur. 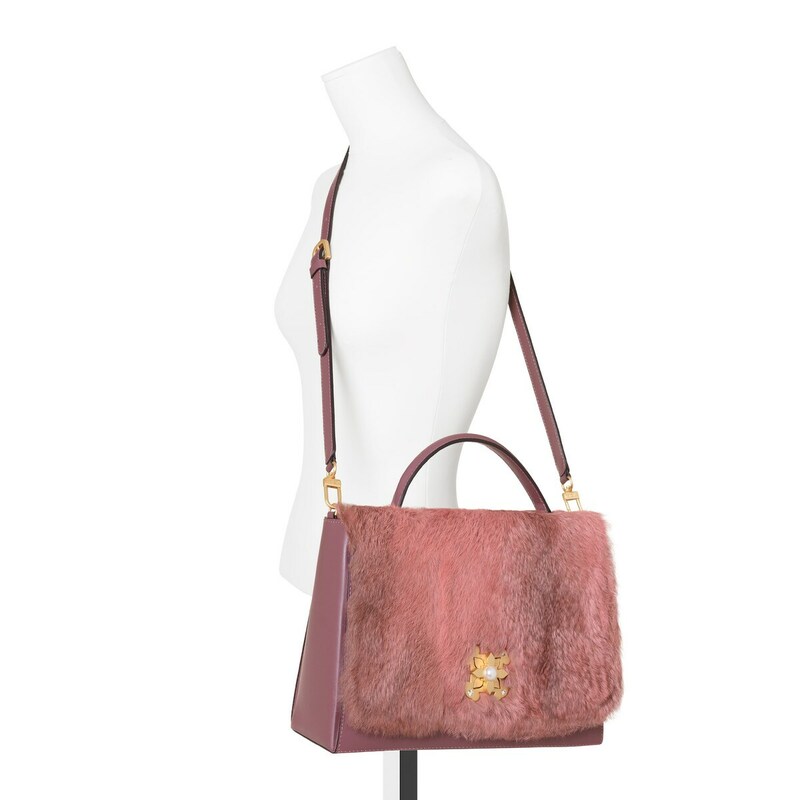 Handle and adjustable crossbody strap. Plaque closure. 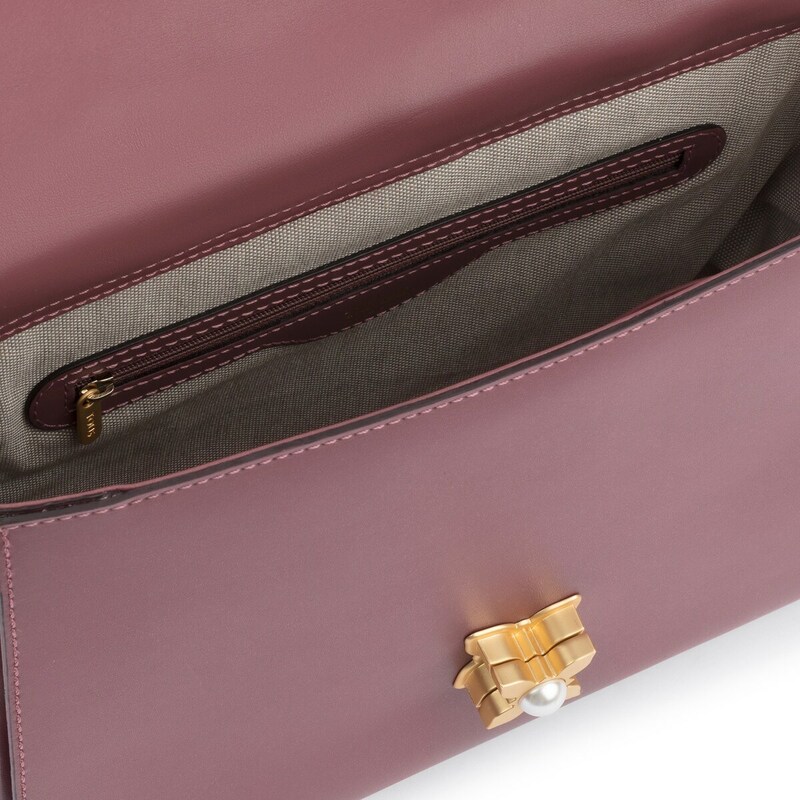 One exterior pocket. Interior pockets: 1 pocket with zipper and 2 cellphone-sized pockets. Measurements: 22x30x11 cm.